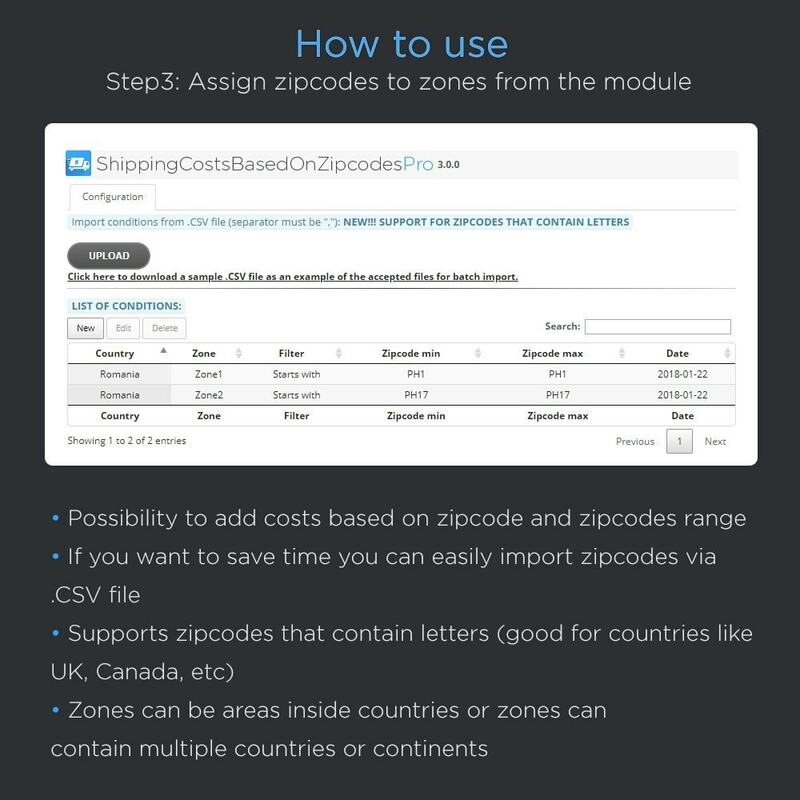 Prestashop gives you the possibility to apply different shipping fees based on country or state, but in reality most of the carriers apply their shipping costs based on zipcodes because they can better control the territory (some charge higher fees for mountains or remote areas). 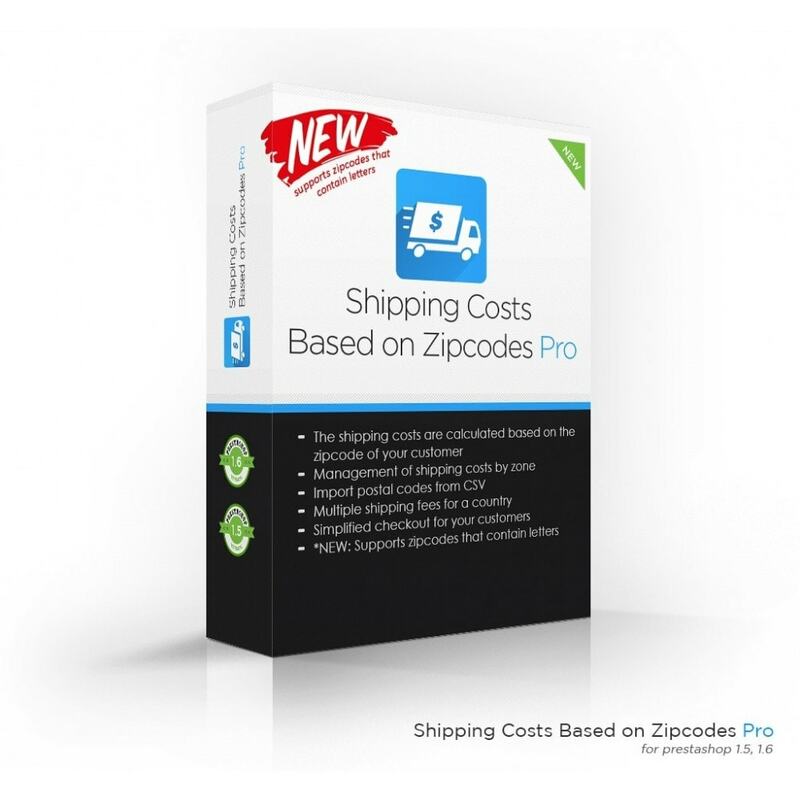 With this module you can improve your shipping system by setting up shipping fees based on your customers zipcodes. 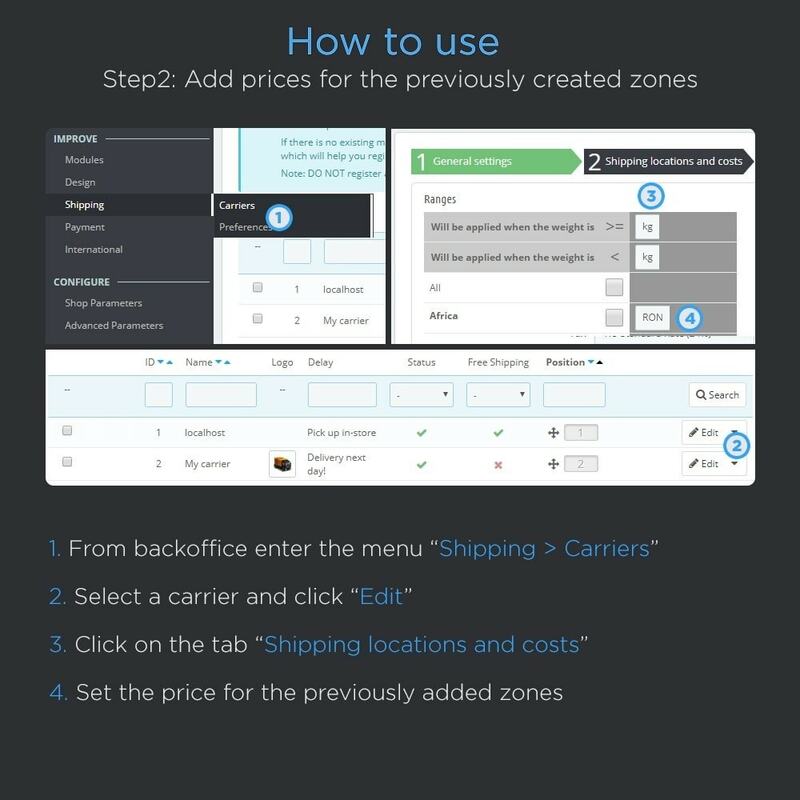 In order to do that you can easily use the zone system integrated in prestashop and cut a country in as many parts you want, then setup the shipping codes for each zone. 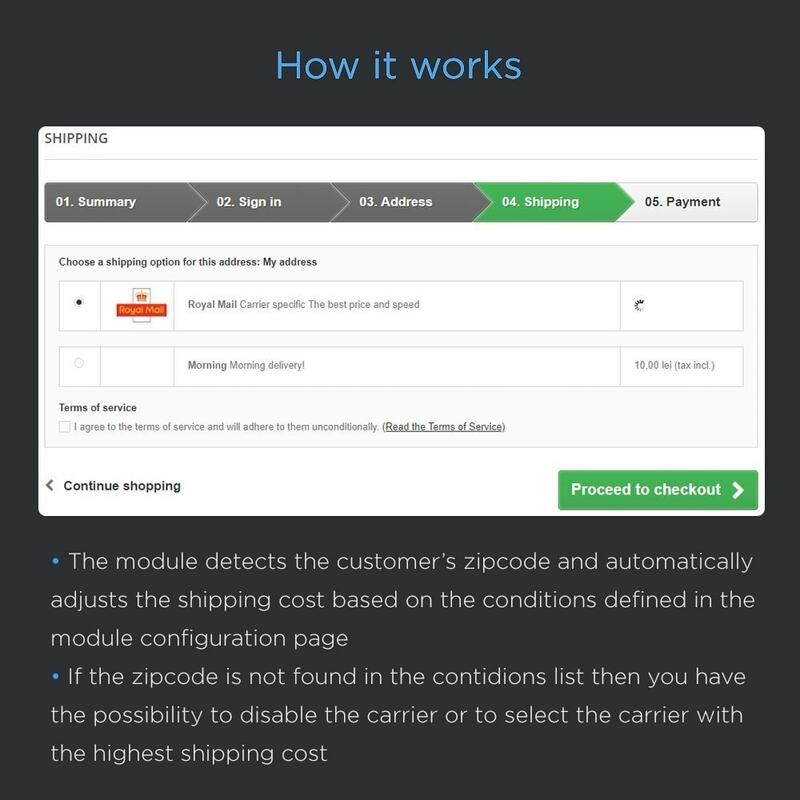 Customer experience is much better, the shipping costs are automatically calculated based on the customer`s postal code, the checkout process is much improved. Dieses Modul ermöglicht Ihnen den Chat mit Besuchern Ihres Onineshops, ihr Verhalten in Echtzeit zu verfolgen und ihr Standort über Google Maps zu lokalisieren. Viele Anwender können mit vielen Besuchern gleichzeitig schreiben.